5.67" x 8.5" finished size. 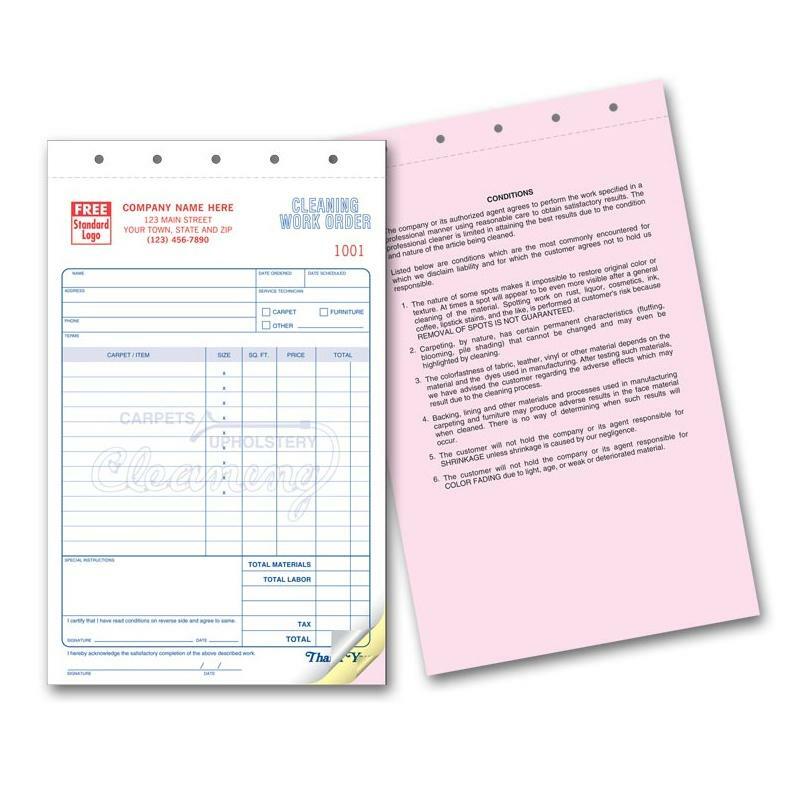 This work order is used by carpet cleaning companies to give all the details involved in a job. 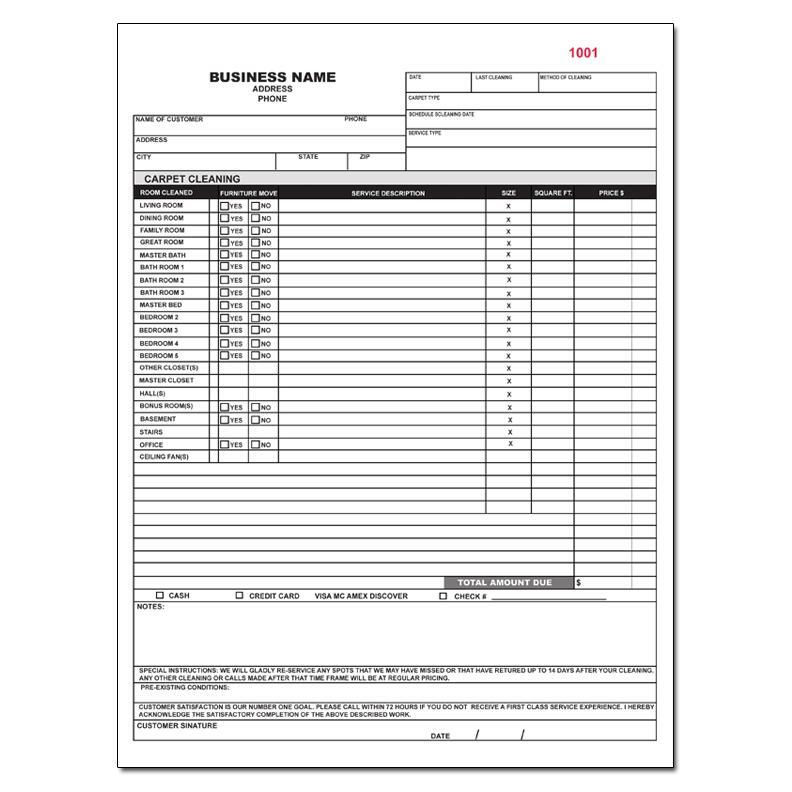 It is a carbonless form with copies for the customer and business record keeping. 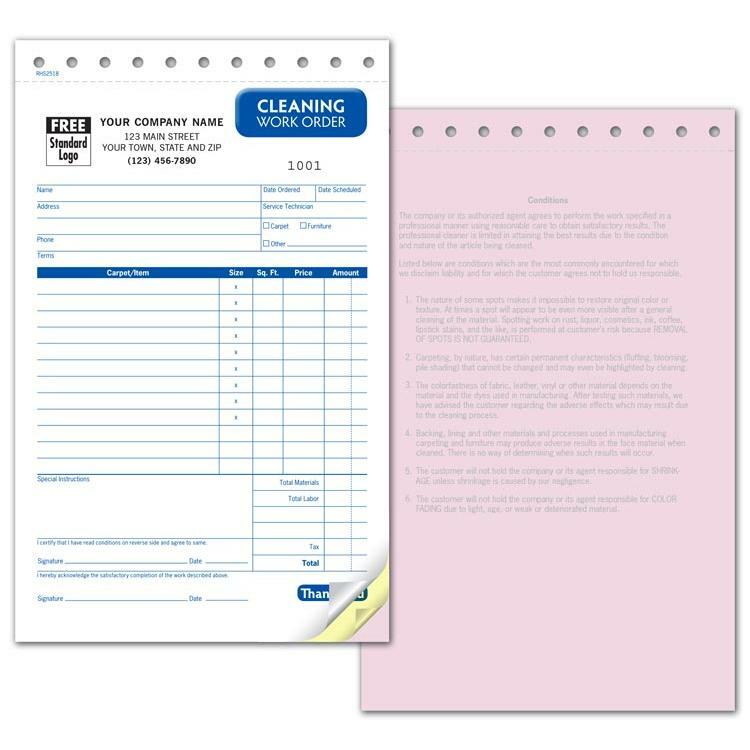 Standard terms and conditions related to carpet cleaning are an already pre-printed on the back of the form. 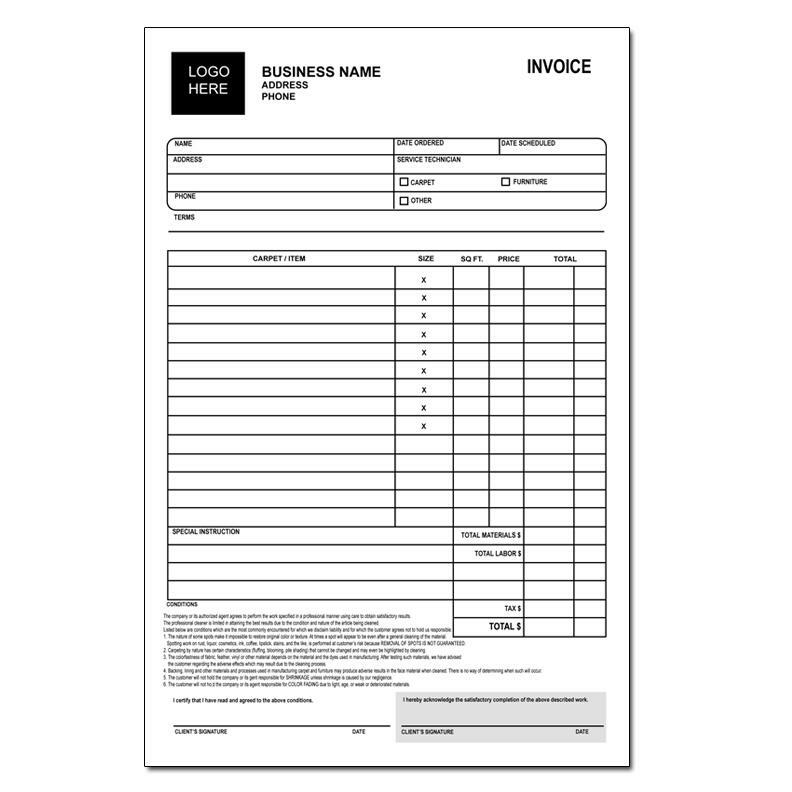 It can also be used as a quotation form or as an invoice once the work is completed. What is included on this Carpet Cleaning Work Order form?